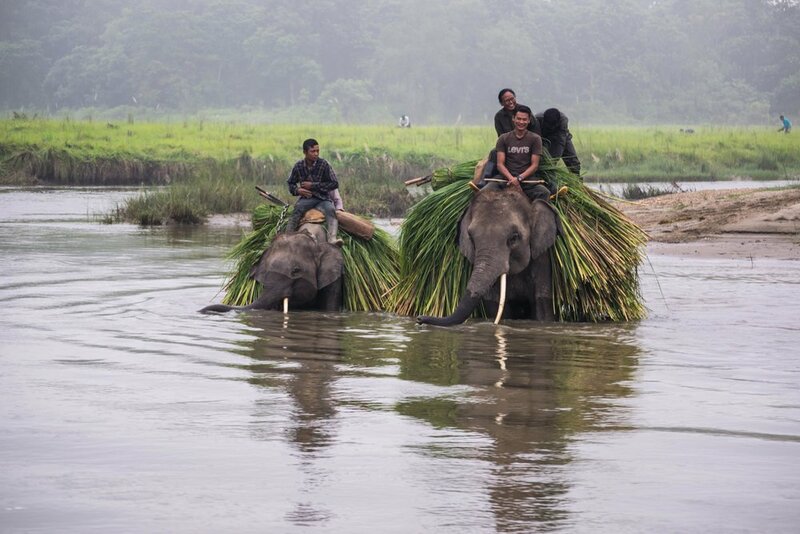 Last month I spent 2 days in Chitwan National Park in Nepal with Ajay Rana. 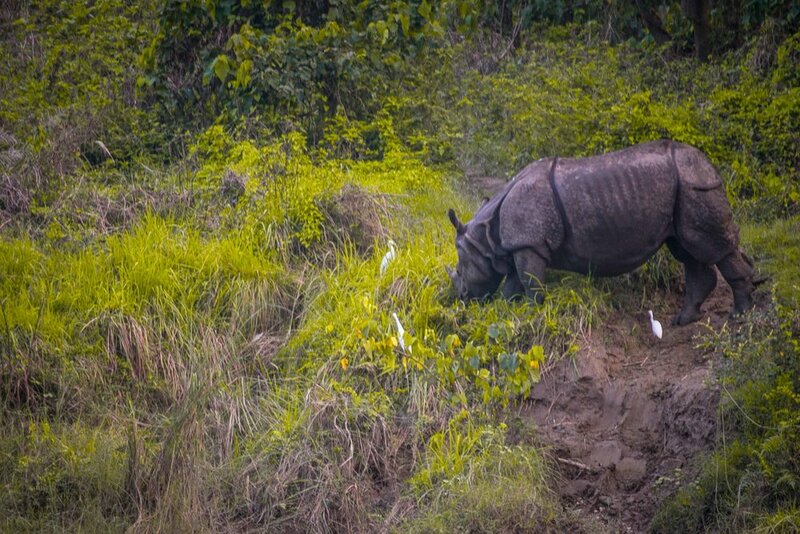 Chitwan is a few hours (depending on the state of the road…I flew back which took 20mins, but cost about 20 times the price of the bus) and is home to a huge variety of animals. 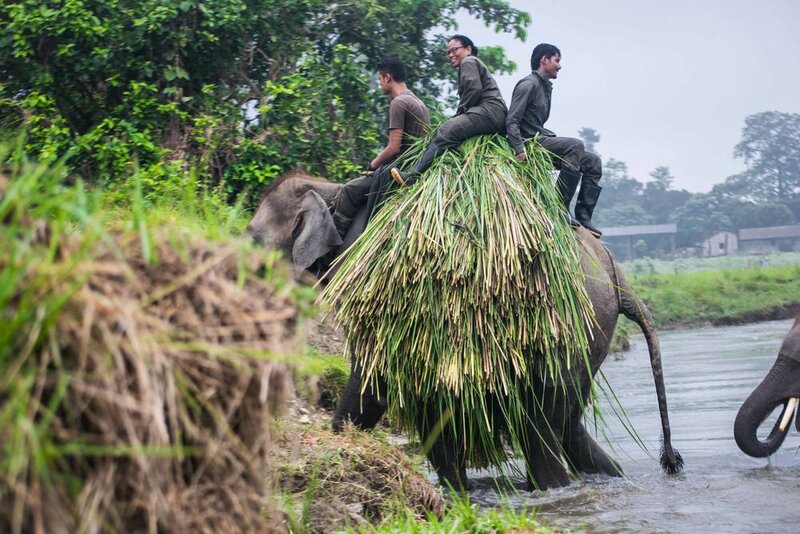 You’ll see elephants walking through the streets of the local resort town Sahaura and you are pretty much guaranteed to spot a rhino or two, alligators and possibly a tiger or leopard, plus a vast range of birdlife. 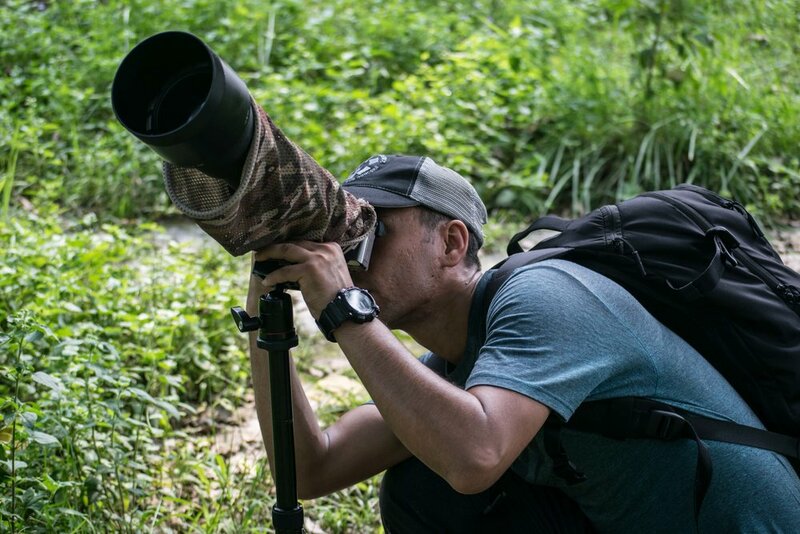 I wanted to learn about wildlife photography and I missed out on Chitwan last time i was in Nepal shooting for the Himalayan Rush Triathlon in March 2017 where I met Ajay and saw his work for the first time. I was blown away by not only the range of animals but the beauty of his photos and was really keen to see how he works, so I had to organise a trip with him on this trip. I met Ajay in Sahaura, which is only a 5 minute walk from the riverside. Almost immediately after arriving at the riverside, we met a local guide who said he could take us to see a rhino 5 minutes away, so we went with him and as promised we found two rhino a little bit further along the river, spotting an alligator on the way. Being tuned into nature is a result of years of practice - Ajay knows bird calls and habitats, where to look and what to listen out for. Contrary to what I previously thought, wildlife photography is more than just going into a national park with a long lens - to be good at this I think you need a genuine interest in and knowledge of the animals that you are intending to photograph. Ajay’s equipment is pretty simple, he carries an ultra light Sony A6000 and 3 lenses: a Sigma 150-600mm f/5-6.3 DG OS HSM Contemporary, Sigma Art 60mm f2.8 and Sigma Art 19mm, f2.8. The main lens being the bazooka like 150 - 600mm, which requires either a very steady arm or preferably a tripod, as any shake of the camera is amplified the further you zoom out. The technical challenges with wildlife photography are keeping the shutter speed fast enough to make sure that there is no movement blur when animals move, but also not too high as the environment when shooting birds usually means that you are under trees, hence low light. Ajay tries to cap his ISO at 800, and shutter speed no lower than 100, so it can often be the aperture that needs to be compromised. Ajay learnt by photographing birds whilst on work trips as a guide. He would wake up early and go out shooting alone before starting work and when he got home would painstakingly research the animals using books and videos to try to find out the names of the species that he had photographed. Ajay documents his work on his blog Prakriti Nepal (prakriti means nature in Nepali). I think that his photos are artistically outstanding and after this experience I have a lot more respect for what he does. I can’t wait for another chance to get back to Nepal and learn more. Please check out Ajay’s blog to see his work and click here to find him on instagram and if you like what you've read please subscribe to this blog by adding your details below and I'll keep you updated with all my photography adventures!